Why have all the sheep gone? While undertaking a recent consultancy for an agribusiness company, I had cause to reflect on international sheep numbers. Here in New Zealand, sheep numbers have been in decline for nearly 25 years. We now have less than 35 million sheep whereas in the early 1980s we had 70 million. In Australia, they used to have 150 million about 20 years ago, but the 2009 figure is only 76 million. Argentina is down from about 24 million to about 12 million. Uruguay is down to 9 million from 24 million. Britain, France, Spain, Italy, Turkey and South Africa are also in decline. In the 1940s the USA had about 50 million sheep, but by 2008 they had less than 6 million and numbers were still declining. According to FAOSTAT, which is the international agriculture database of FAO (the Food and Agriculture Organisation of the United Nations), the world’s biggest sheep flock is in China, with 136 million in 2008. Chinese sheep numbers peaked in 2005 at 152 million. Surprisingly, given this widespread decline across the developed world, and also more recently in China, FAOSTAT shows almost no overall change in global sheep numbers between 1999 and 2008, at just over a billion, (the most recent date for which figures are available). But closer inspection shows that numbers have only held up because of increases in countries such as Syria, Pakistan, Sudan, Russia, Kazakhstan and Nigeria. Both the reliability of the statistics and the productivity of sheep in these countries are open to question. In some cases the recent upturn is related to countries coming out of war or other turmoil. In looking across a range of countries that can be considered as having ‘modern’ industries, there are both common and different causes for the decline. Here in New Zealand, the fundamental reason is that the international wool industry has been in decline for about 40 years. Traditionally, sheep farming relied on income from both wool and meat, with wool returns being the dominant income source up until at least the 1960s. These days, the coarse wool produced by the sheep that are used for meat production is little more than a nuisance. Unfortunately, sheep are not particularly easy animals to farm, and it is difficult to be profitable from meat alone. On the better country, sheep farms have therefore been converted to dairy farms, while on the hills, the land use has changed to forestry. In Australia the situation is somewhat similar but the specifics are different. The Australian sheep industry was traditionally based on fine wool production, and that too has been in decline. But on much of the Australian sheep lands there are few options. Some farms have shifted their focus to wheat, but that does not explain all of the decline. There is another reality on the Australian grasslands, and that is environmental degradation. Nutrients have been depleted and carrying capacity has declined. I do not fully understand the decline of the North American sheep industry, but a lot of it has to do with predators. In the American environment, sheep need to be closely shepherded, and that is inconsistent with low cost operations. It is much easier to ranch cattle. In Argentina the sheep farming has traditionally been in Patagonia, and the main focus has been on wool. Low wool prices together with minimal fertiliser applications have led to overstocking, depletion of nutrients, and land degradation. In Uruguay the decline is mainly due to economic competition from cattle, cropping, and also to some extent from production forestry using Australian eucalypts. Uruguayan lamb supply chains are somewhat dysfunctional. Although sheep numbers in China have apparently only declined by 10% between 2005 and 2008, I expect this decline to continue. The Chinese grasslands are heavily degraded and there are no easy solutions. 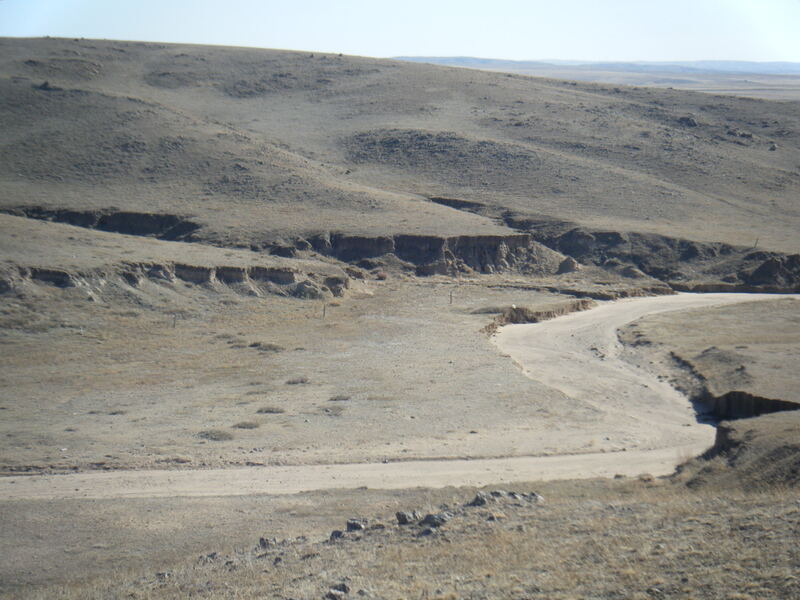 In late 2008, I observed large tracts of land in Inner Mongolia (see photo), on the edge of the Gobi desert, from which the sheep had been removed by Government decree. Six months later in the following spring there were no signs of restoration. It is going to be a long journey back, and sheep numbers will never again reach the 2005 pinnacle. So what is the ‘big picture message’ out of all of this? There are at least two answers which inter-relate. The first is that sheep tend to be farmed on fragile lands, and many of these are in decline world wide. The second message is that sheep are not easy creatures to farm. They are susceptible to predators, and they are also susceptible to disease once farmed outside the arid and Mediterranean environments where they evolved. If the global sheep industry should ever boom again, then it will either be because new and profitable uses are found for wool (and it would be a brave person to bet on that) or else new markets need to be developed for lamb, where consumers are prepared to pay big premiums for lamb over other meats. It’s not impossible, and well worth a try, but it is going to be a challenge. 4 Responses to Why have all the sheep gone? When the wool market collapsed in 1966, there was hope that NZ lamb and beef exports would grow to fill the gap. But both proved difficult to sell outside their major markets, the UK and US respectively. Even within these markets quotas and tariffs restricted growth. So after the oil shock of 1973, the Middle East seemed ideal for NZ lamb exports. These hopes faded with the Gulf War in the late 1980s, when both Iran and Iraq fell out of the market. As a result NZ lamb prices fell, and sheep numbers with them. The crisis in meat processing then began to unfold. Now, after 20 years of difficult readjustment, NZ farmers face wool/lamb price relativities similar to that of UK sheep farmers. Lamb, not wool, is the bulk of their income, as it has been in the UK for decades. But this also means that only the very best NZ sheep farms, with optimum climate and top management, can hope to make serious money. Professor Woodford’s environmental argument (fragile arid grazing lands are becoming exhausted world wide and predation) is a supply-side argument. He then goes on to suggest a demand-side explanation. Sheep and lamb consumption are not increasing anywhere nearly as fast as pork and poultry in global markets while wool is still in the doldrums and not keeping up with growth in other fibres. A double whammy. If you look at global trends in sheep stocks using the FAO data, something very odd happens between 1991 and 1992. Stock jump up in Asia and drop down in Europe at exactly the same time and by nearly the same amount. Have you any idea what might be causing this? I have no explanation for the apparent increase in sheep in Asia. I am cautious as to whether such an increase did really exist. Yes, the factors affecting sheep numbers in the developed world are in part ecolgical, and also linked to a decline in demand, and hence price. Substitution of synthetics for wool has been a major factor. Currently in 2011 we are seeing something very interesting in that both wool and lamb prices have been increasing considerably. Whether or not we are experiencing a fundamental shift in the demand curve, and hence whether the increases are sustainable, is unclear. But this year our sheep farmers are happier than they have been for many years. However, I still expect to see more NZ farms convert to dairy in search of the supposed white gold. This current year there are only about 60 farms converting to dairy, and this converts to about 250,000 less sheep that can be carried in 2011/12. Next year I would expect to see another 100 farms converted, mainly in Canterbury and Southland. Having mustered sheep from the Falkland Islands ,Magallanes Southern Chile, Osorno chile . The article is correct regarding the decline in sheep numbers in Patagonia . The soils are very fragile and over a century have been grazed and in most cases over grazed , The problem once the tussock is removed , wind, ice erosion see rapid degradation of these soils . These areas recently have experienced significant climate change , drought lack of winter snow causing more damage . In Southern argentina Guanaco numbers have exploded further damaging the fragile enviroment .Argentine farmers have made large investments in Australlian fine wool merino , the writer questions there adaptability to the enviroment . Corriedales were the best breed . Being at the forefront of the setup of a sheep industry in osorno one has seen the difficulties of starting a new industry without an infrastructure to give it support .